Reporting to the Head of Center of Excellence, you will design, develop, implement and execute test cases under the new lease accounting standards IFRS 16 and ASC 842, and will ensure accounting outputs of Nakisa’s products are in compliant with the standards. The Lease Accounting Analyst will also be responsible to create, enhance, manage, and execute automation of lease accounting test scripts for Nakisa’s applications. He/she will also support proof of concepts of potential clients. Design, build and review existing IFRS 16/ ASC 842 test cases for accounting accuracy testing. Provide regular reports on IFRS 16/ ASC 842 compliance. Understand product requirements to develop and execute test cases for Nakisa software products. Report, prioritize and track all accounting related bugs. Work closely with the development team to ensure defects are correctly identified and fixed. 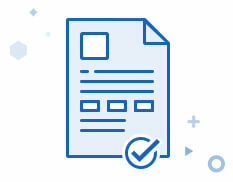 Document and track defects and prepare reports on defects found during testing. Validate lease liability and Right-of-use (ROU) asset schedule at commencement and during lease modification/re-measurement. Validate journal entries posted to ERP. Record and optimize automated test cases. Conducting research on new lease standards (IFRS 16 & ASC 842) to support the Implementation of best practices. Support proof of concepts of potential clients. Support sales, product, professional services and marketing activities where knowledge expertise is needed around lease accounting. 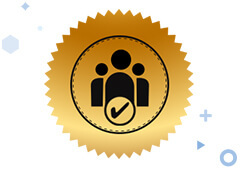 Offer support in capturing and analyzing detailed requirements and preparing solutions. 1-2 years of experience in lease accounting. CA, ACCA qualified or Master’s Degree in Accounting with at least 2 years of relevant experience. Good knowledge and understating of lease accounting standards (IFRS 16 & ASC 842). Must be pro-active in researches to keep the track record of new modifications and implications of lease standards (IFRS 16 & ASC 842). Must be a good team player and quick learner. CA certification is an asset. MBA or other business degree in accounting is an asset. Experience within IT/ERP development environment is an asset.